People Places Happenings And Things In Aotearoa New Zealand. The Land Of The Long White Cloud. Keith Levy, whoever he is, was born in Wellington New Zealand, and lived, worked and played there until he was asked to leave. 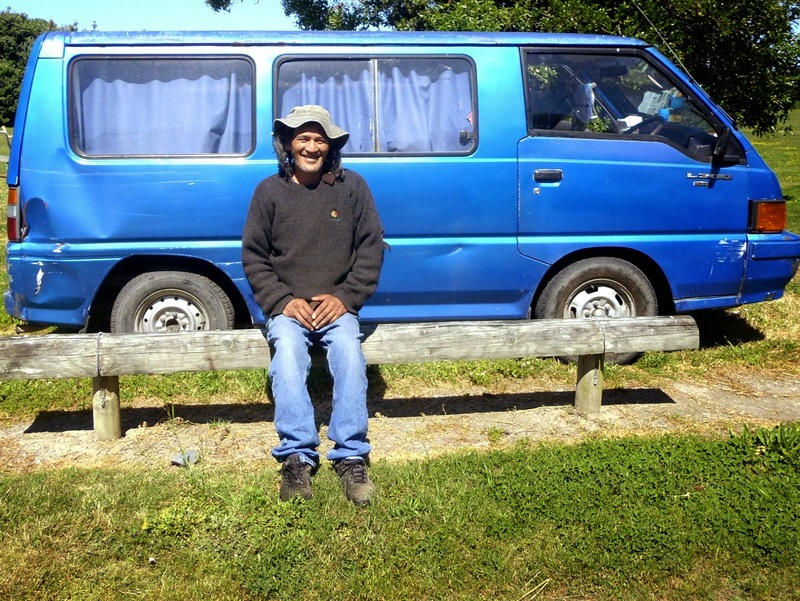 He ventured north, sailed the Pacific and around New Zealand's Northern East Coast. He was rescued after his yacht Sofia rolled 360 degrees and dismasted in a 'Weather Bomb' in '94. 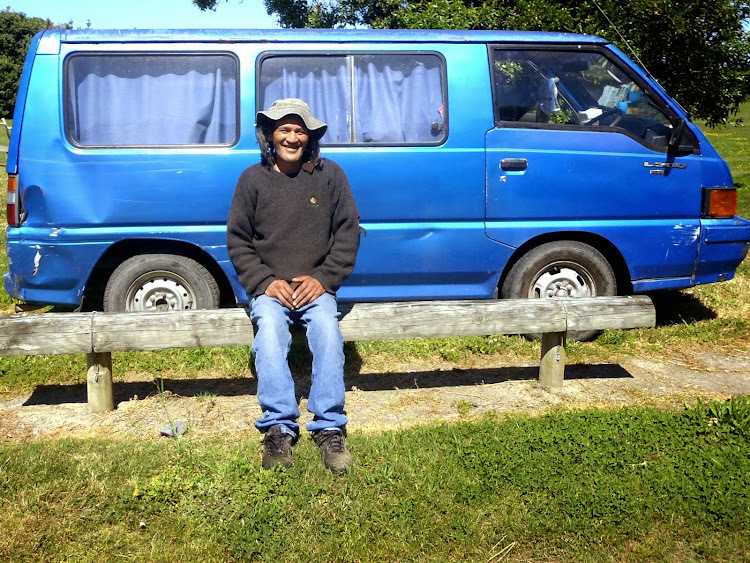 With no money but lots of imagination and the help of friends, he built a junk rigged yacht called Shoestring, living on her for six years before becoming a land gypsy in 2001. He lives in The Flying Tortoise. He's fathered children, planted trees, built a house, written a story for film and published a book titled 'How To Live Well On A Small Income'. He's had a career in advertising and marketing. As an artist, he painted 'Simplified Images of Nature'. For the twenty years up to 2010, he created 'New Zealand's Funniest Range of Handmade Greeting Cards'. Some were so outrageous they carried a 'Health Warning - Laughing can cause you to live longer!' It's said they made one million people laugh. Keith lives the philosophies of Henry David Thoreau, Zen Buddhism and the Japanese Wabi-Sabi. He's The Roaming Rhymester, a Sun Worshipper. A Guitarist, A Fisherman. And was a Blogger.